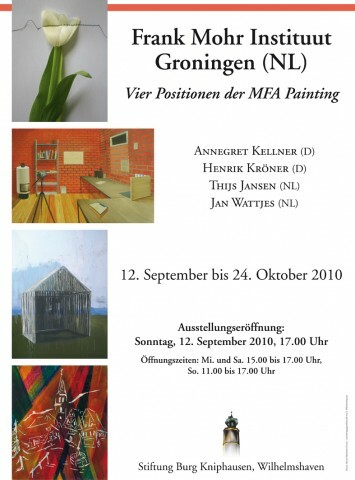 The Frank Mohr Institute, Groningen, (NL) organizes the exhibition of four alumni: Annegret Kellner (Ger), Henrik Kröner (Ger), Thijs Janssen (NL), Jan Wattjes (NL). 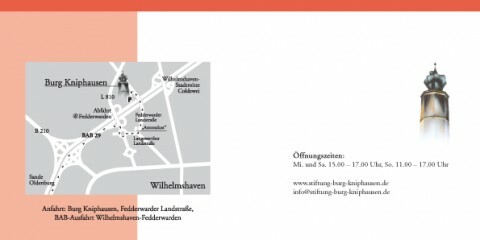 The exhibition is located at an old castle “Burg Kniphausen” in Wilhelmshaven, Germany. A catalogue will be presented on this occasion.